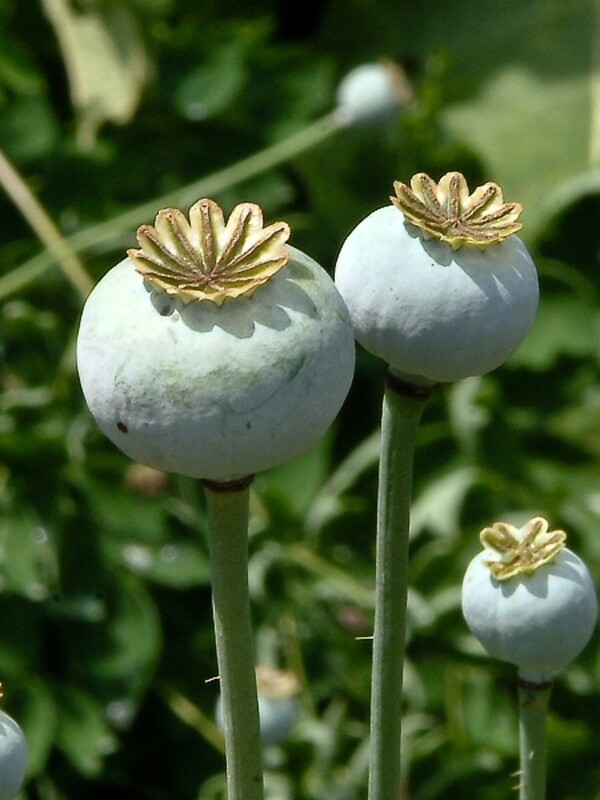 Opium poppy is native to southern Europe and northern Africa, and is the source of poppy seeds used in cooking, as well as a wide range of narcotics including opium, morphine and heroin. 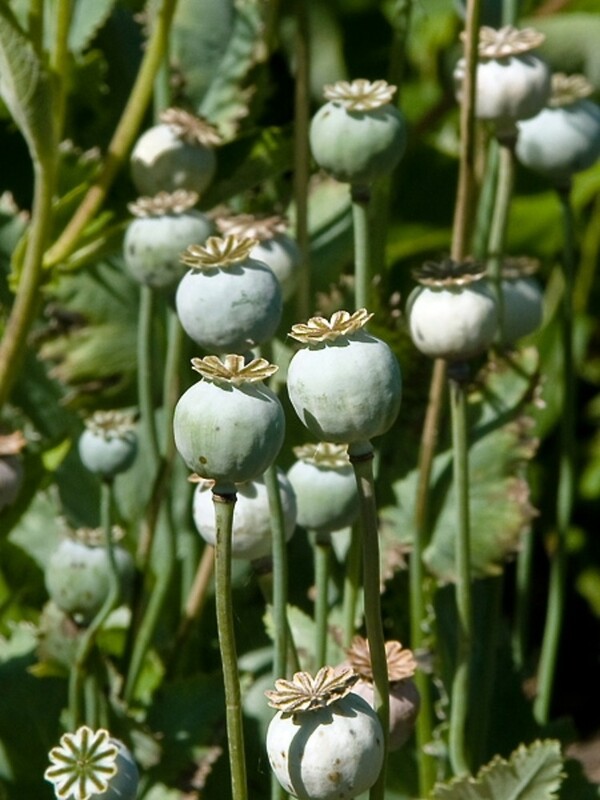 Federal drug statutes state that it is legal to grow poppies in your garden unless you grow them 'knowingly' or 'intentionally', in which case the maximum penalty is twenty years in prison and a one million dollar fine. 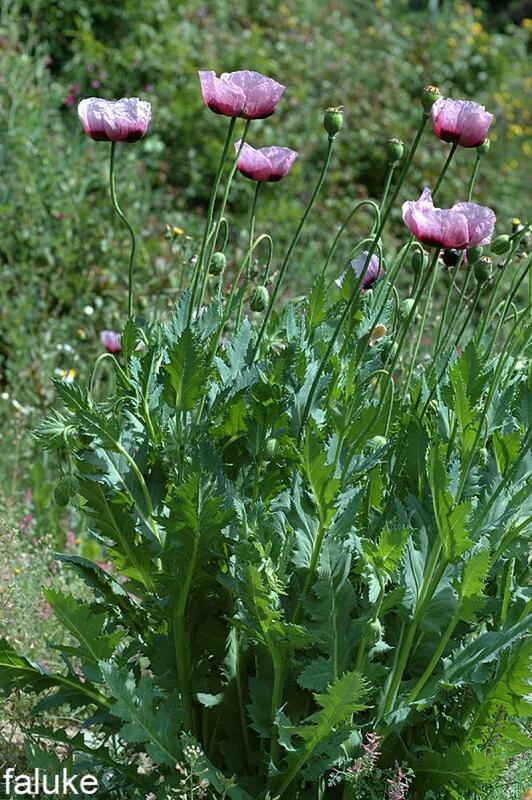 It is distinguised from other poppy species in our area by its leaves, which clasp the stem, its comparatively long seed capsules, and large seeds. leaves of the stem not clasping, stems hispid-bristly, and capsules shorter than 23 mm long (vs. P. somniferum, with leaves of the stem cordate-clasping, stems glabrous, and capsules 25–60 mm long). 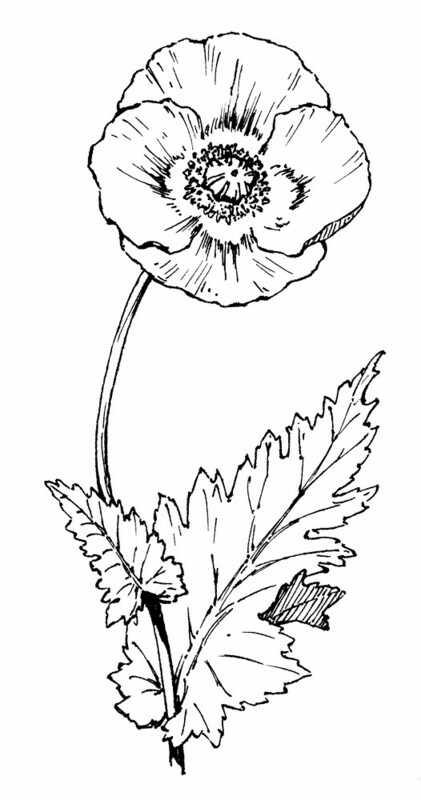 Papaver setigerum, auct. non DC. 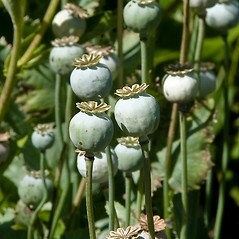 Papaver somniferum L. var. hortense (Huss.) Corb. 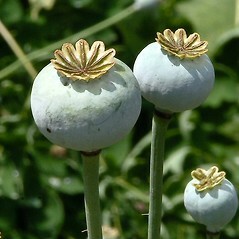 opium poppy. 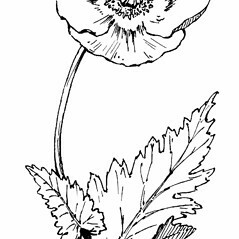 Papaver setigerum, auct. non DC. 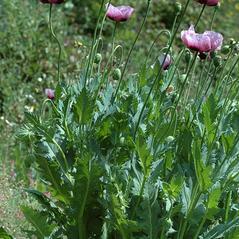 ; P. somniferum L. var. hortense (Huss.) Corb. • CT, MA, ME, NH, RI, VT. Gardens, waste areas.